Taggart and Kileen's replacements have not yet been announced. Tamara Taggert and Mike Killeen had anchored the CTV Vancouver evening newscast since 2011. CTV Vancouver announced Monday it will introduce a host of changes in April, and began by letting go of the anchors for its 6 p.m. newscast. In a press release, CTV News Vancouver news director Les Staff thanked Tamara Taggart and Mike Killeen for "keeping Vancouverites informed about their city each and every day." "Mike and Tamara are consummate professionals, and we wish them the very best on what's to come," Staff said. Other anchors will be shifted into new timeslots, according to the release. The station also announced that weather anchor Krissy Vann would be joining CTV News Vancouver to deliver weekend weather updates. "This refresh is the latest step in our ongoing commitment to deliver the most trusted breaking news and valuable context behind the most significant stories of the day," Staff said. Twitter users blasted the decision. Some said it was "the only reason" they chose CTV, and others vowed to start watching Global BC's newscast instead. Hey @CTVVancouver just so you know, @tamarataggart and @Mike_Killeen are THE reason why I watch your show. If they're gone, so am I! And I stand by my word: haven't watched @globalnews once since their biased reporting during #bced strike. Your loss. Other recent changes at the station include the introduction of a behind-the-scenes podcast, and a weather app. 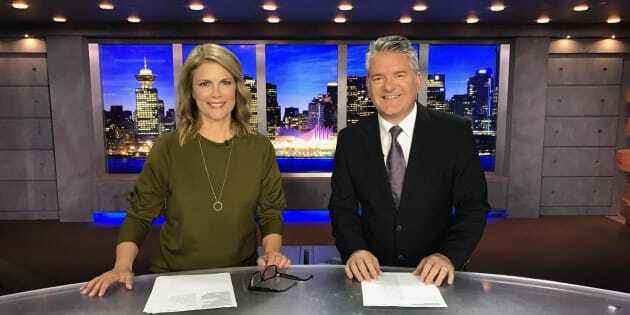 Taggart and Killeen have been hosting CTV News Vancouver's 6 p.m. newscast since January 2011, after the departure of Pamela Martin and Bill Good. According to the Georgia Straight, Taggart and Killeen's replacements have not been announced. Veteran anchor Mi-Jung Lee sat in for Monday's broadcast.